In an interview with The Guardian Australia last week, South Korean presidential hopeful Ahn Hee-Jung made a clear statement on the future of coal: it’s over and the world needs to change. That’s why we’re documenting our support for the Stop Adani campaign – coal-fired power just doesn’t make any sense, and as we’ve been saying – it hasn’t for some time. It’s bad for the environment and it’s a terrible investment – renewables are greener and cheaper, and Australia needs more of them. We know that electricity generated by renewable resources will continue to be added to grids across the world. But at Powershop, we believe it’s particularly important for developed countries like Australia (which incidentally sells $6bn worth of coal to South Korea every year) to drive the adoption of renewable energy generation and technologies like hydro, wind and solar farms, batteries and on top of all this – be testing and learning about tomorrow’s new technologies, today. As you might have heard, our parent company Meridian Energy recently entered into an agreement to purchase three hydro generation assets in New South Wales, and signed multiple Power Purchase Agreements to purchase electricity generated by wind and solar farms in NSW and Victoria. These purchases prove that coal-fired electricity generation is a relic of a bygone age where power was generated with little to no regard to the impact it had on people and the environment. Who cared? It wasn’t like it was affecting anyone, right? But now we know it is having a massive impact. It’s mostly people in developing nations who are bearing the worst effects of climate change, and we know for sure that climate change is severely impacting our environment by causing the bleaching of the Great Barrier Reef, and increasing the number of devastating weather events around the world. That’s why we’re announcing our support of the Stop Adani campaign and focusing our attention on getting more renewable generation into the grid. So what are you waiting for? 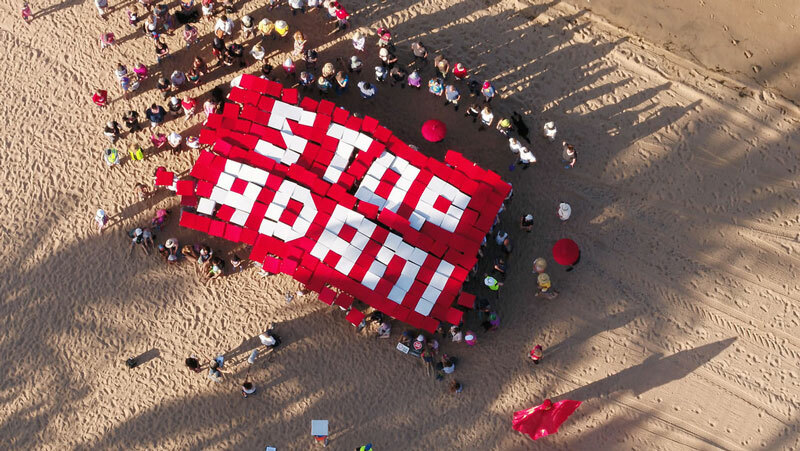 Join us in supporting Stop Adani and help stop the devastating impacts of climate change. Ready to join a greener power company? Look no further. Read next: Powershop’s Your Community Energy (YCE) program is growing up and going international!